One of the drawbacks I have found with setting myself up as an internet guru is that the more questions I get the more I realise how little I know. Take this one from Rebecca. Hello. First off, I am not entirely sure if this is a type of scientific problem that is addressable, or even common, but I thought it was startling and strange. I have always had good skin, no acne problems as a teenager. I would get the occasional pimple but it was never anything severe. I think that is pretty lucky. However, when I met my boyfriend (now fiance) he introduced me to coconut oil, to cook with. I had never heard of it, much less tried it. Fast forward a few weeks. I began breaking out like crazy, but after several months I noticed it was only on my cheeks. I was devastated, and since I have quite a healthy diet I tried everything from making sure I had a clean pillow case, washing my face am and pm, everything. I would get at least one new blemish a day. I did some online research, which I am not sure how trustworthy that can be, but I found that coconut oil could have been the culprit. I have since stopped cooking with it (note: I never used it directly on my skin, only ingested it) and my skin has improved dramatically. I no longer get any blemishes. I read that coconut oil can release liposaccharides and these can let gut bacteria into the bloodstream. This in turn was causing my body to try to fight this off, and I think it manifested as acne, but only on my cheeks. Do you know if this is really the case? Could I just be allergic to coconut oil? I can hardly believe this substance did so much damage. Do you think others have this problem? Is it common? My fiance can eat the coconut oil on food with no trouble at all. I am glad I found a solution for myself but I am just wondering at the science behind it! Thanks! This entry was posted in Problem Pages and tagged acne, coconut oil, problems on August 19, 2013 by Colin. I’ve got cystic acne. Currently I am on prescription medication, but before I was, I would get people stopping me in the street suggesting home remedies for the problem. One unusual one, offered by an East Indian man, was to apply jasmine oil to the pimples. I never tried it (it’s expensive stuff — I assume anyway that he meant jasmine essential oil) but am wondering what the benefit would be? I’ve also heard lavender oil similarly suggested. (Tea tree oil is also classic and common recommendation — but that one I did try, though to no effect.) I know in the case of tea tree oil it’s supposed to be antibacterial — would this hold true for the floral oils? This entry was posted in Problem Pages and tagged acne, essential oils on February 14, 2013 by Colin. 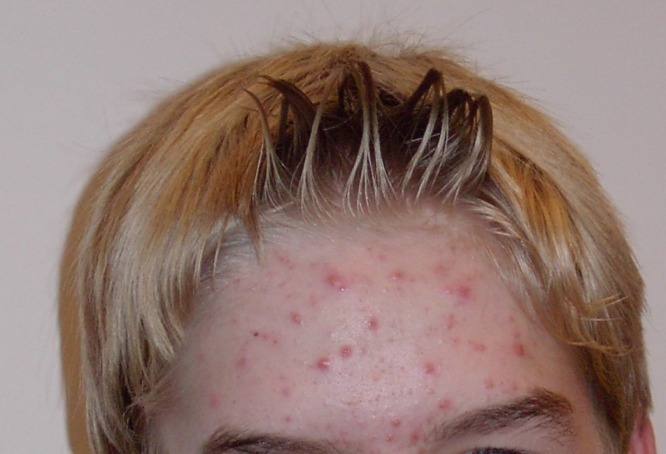 This entry was posted in Ingredients and tagged acne, environment, ingredients on February 2, 2011 by Colin. A new health water is about to appear on supermarket shelves in the UK. It is called Beauty and contains an active ingredient called Praventin that can “reduce the development of the bacteria responsible for many skin impurities”. Although I am quite keen on the notion that drinking water can be good for your skin, and I have a page up about it, I was instantly suspicious of this offering. This entry was posted in Product Reviews and tagged acne, Beauty, praventin on May 29, 2008 by Colin.